I know, I know. You’ve got consultations to plan, quotes to send and a whole host of wedding bookings to work on, before you even consider your wedding SEO. Finding time to look after your SEO too can feel like an impossible task, but there is a way to make time for it in your schedule. And with the possibility of bringing new bookings your way every day, it’s time that’s very well spent. In this blog post, I want to help you to step up your search engine rankings in just four easy-to-implement steps. As with all things business-related, the key to getting your wedding SEO done and done well is to dedicate time to it. That may be an hour a month to research trends and check your ranking for keyword terms. Or it may be checking in once a week. If you tackle SEO each time you publish a blog post or webpage, you’ll never have to face a mountain of content to optimise. Blasting through a short to-do list is achievable. Tackling wedding SEO for 30 posts? Not so much. Avoid overwhelm by taking a proactive approach to SEO and you’ll soon see that the results it brings really are ‘So Exciting Obviously’. Whether you’re researching sites to guest blog on or planning your next keyword phrases, doing 10 at a time is almost always more efficient than doing it individually on 10 different occasions. Make an overall wedding SEO plan covering all the elements you want to tackle. This includes the technical side of SEO like improving your site loading times, as well as assessing keyword phrases. Then take one section at a time, pace yourself and tick it off your list. When you’ve only got 30 minutes to spare and you just want to get a blog post published, it’s all too tempting to gloss over some (or even all) parts of wedding SEO. Don’t! You’ve taken time to create this epic content, so make sure it reaches the audience you want it to. That means optimising for a carefully chosen keyword, setting an SEO title and writing a meta description. It even includes reducing your image file sizes. You want to boost your wedding SEO score at every opportunity. Leaving small things undone could drag it down and let competitors take your space. With four simple steps, you can make significant headway in improving your search engine ranking. Do so and you’ll draw in more visitors and stand out as the fabulous business that you are. Sounds pretty simple when I break it down like this, doesn't it? Go on, try it out and keep me posted. Well hello there! Today I want to talk to you about your Best of 2018 blog post. You know, the ones where you summarise all your favourite bits of 2018 on your blog. Have you considered doing one? Perhaps you’ve *just* published it, perhaps it’s sitting half complete in your drafts folder. Perhaps you think they’re only for certain types businesses, and not for you? Perhaps you’ve seen the super fancy lovely slideshows set to music and thought “Not only do I not know how to do that, I also don’t know if I have that many images that I love and the very task seems daunting”? You aren’t alone, and I’m here to help. In this blog post I will not present different types of Best of 2018 blog posts but also, I’ll share with you how to make the most of this kind of blog post and the added SEO and marketing benefits of creating this blog post. Your best of 2018 isn't limited to those with lots of images (looking at you, wedding photographers! ), and it certainly doesn't always have to be a slideshow set to music. Of course this is a lush idea, but there are many other ways you could present your Best of 2018. 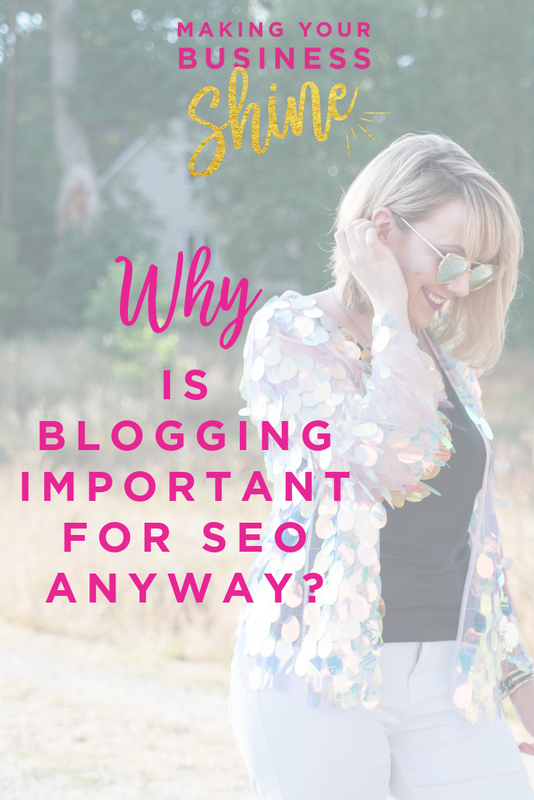 Obviously, as your SEO Queen, I’m going to focus on the SEO benefits of having such a blog post and it’s also going to inform how you choose your content. 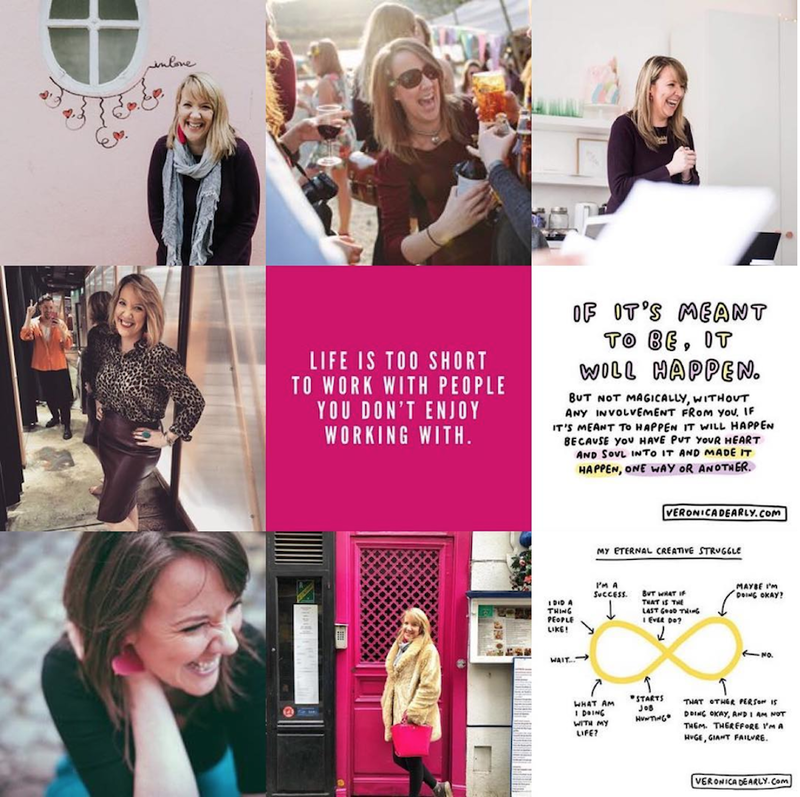 Creating a Best of 2018 is not only a fabulous opportunity to reflect on how awesome you are, but also to repurpose the content that worked really well for you in the past year. One way to present your Best of 2018 is to create a blog post from your 10 most popular blog posts of the past year. To do this, just look at your Google Analytics. Then, go to Behaviour on the left hand side menu, click on Site Content, then All Pages, change your dates to the past year in the top right corner of the screen, and finally look at the nd look at the most popular content over the past year. You can then link to each blog post and add one image from each blog post. The text you use to link to the blog needs to be something very relevant to the blog post itself such as “Dorchester Hotel wedding - Tom & Rachel” because you want to attract more traffic for Dorchester Hotel weddings, right? Why is blogging important for SEO anyway? c) you blogged about each project. If you don’t have Instagram, then skip to the next idea. If you didn’t yet publish your best 9 then you can look that up by searching on your app store for Best Nine. If you haven’t blogged about each of the projects that were on your best 9 then you don’t even need to refer to the best nine and instead just link to the ones you did blog about and/or add the best nine images to your slideshow if you're doing one, along with links to the photographers who took the photos. You could go through your Facebook Insights and check the most popular content from there and use that to create your top ten weddings and link to those blog posts on your blog. (Why do I keep going on about linking to other blogs in your blog post? It keeps traffic on your site which is AVGT i.e. A Very Good Thing) If you haven’t blogged those projects and instead they’re popular just from image alone, then you can link to blog posts where you’ve worked with that particular photographer, or supplier, or collaborator. Go to your Facebook Page Insights, click on Posts on the lefthand side, scroll down to All Posts Published, continue to click "See More" at the bottom so you can see all posts from the year. Then you want to focus on the posts that had the most blue & pink numbers (Engagement & clicks) NOT orange as this is impressions only and counts everyone who thumbscrolls over you. Some people have done this as Facebook or Instagram updates and that’s cool but that’s not driving the traffic to your website, and your website is your best employee. Why not let it work for you? So you’ve created your blog post, what now? What’s the best way to share this on social media? Choose an image from each of the 10 blog posts you’ve shared and share for 10 days. You can mix it up on Facebook, Instagram, Pinterest. You can paste the link to your Instagram bio, you can say something poetic or a line from a song you love to accompany the image. You don’t have to always say it’s from your best of. Do not be afraid of repeating that it is, but at the same time you need to mix it up. Email out to the couples who are in it with a link to your Facebook and blog post for them to share it. Tag your couples, suppliers, collaborators each time you post. This will be more effective if you post one image at a time. But wait, you haven’t even talked about creating a slideshow to music - how do you promote that? Sharing the slideshow directly to social media will be most effective for engagement rather than just posting a link to your blog post with the slideshow in it. Make sure you still post a link to the blog post so your audience can continue to engage with you if they wish to. Don’t include images of clients that didn’t fit your target client. You will attract what you promote. If they were let’s say, a little tricky, don’t include them in your Best of post, no matter how awesome the image is. No one cares when you post it OR if you don't post it but they do care when you DO publish it. You can publish this whenever you like! Your audience wants to hear from you! Your potential audience is eager to see your work! Your website is your best employee, and your best employee represents your brand, promotes your values and works damn hard for you. Now that I’ve planted these seeds, and you’re on board, you can use this information to spark future blog post ideas. What was popular this year? Blog more of that kind of content, particularly if it's a good excuse for you to share your expertise. It reminds people they're in the right place to find the solution they're looking for. And finally, remember that your blog is not there for you to sell directly but to increase awareness, show your expertise and to increase engagement and traffic. Don’t forget to measure these factors on Google Analytics, and on social media insights. By taking the steps in this blog post, you can achieve fantastic results.